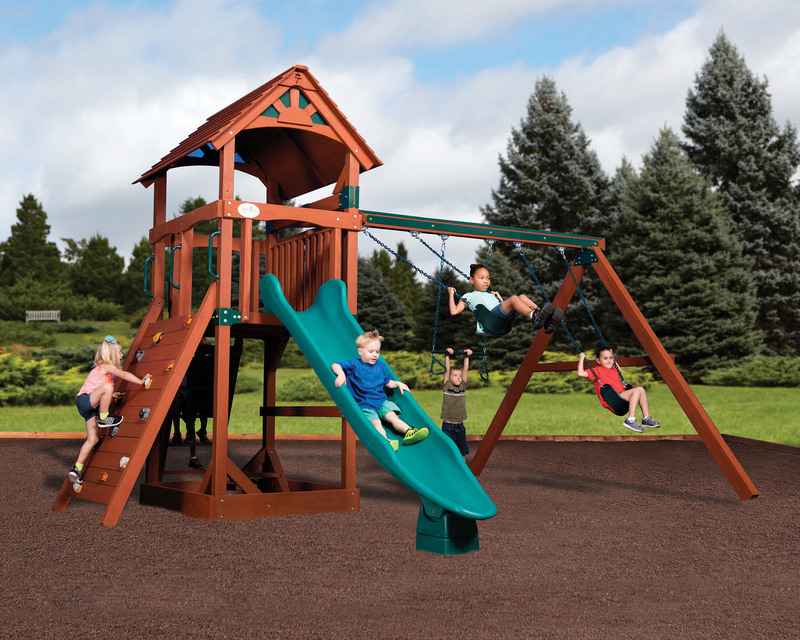 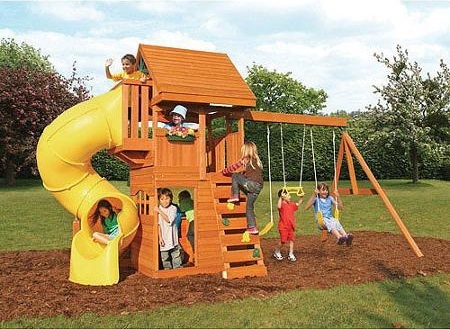 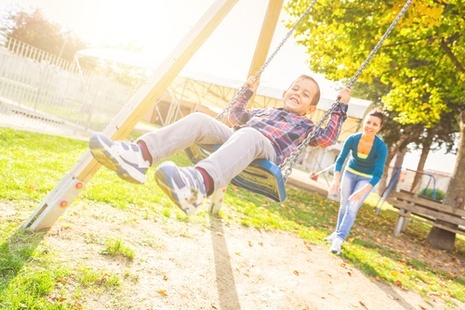 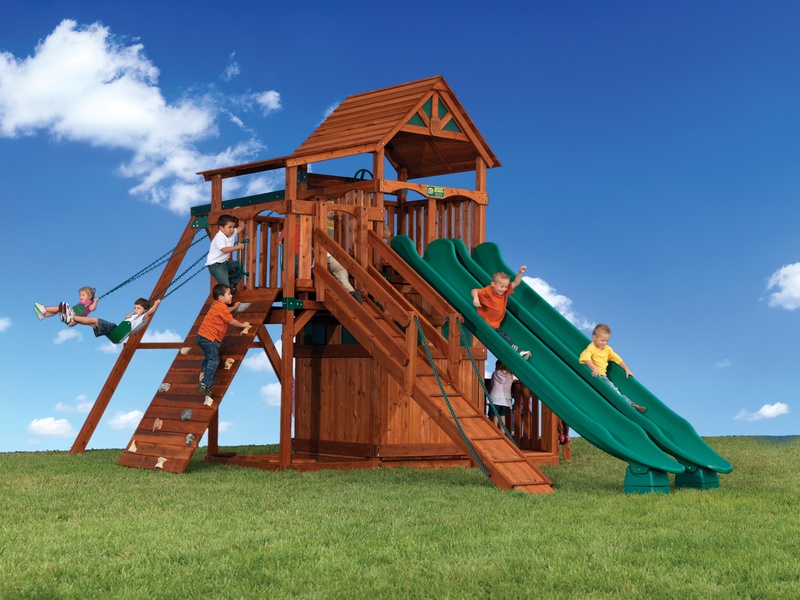 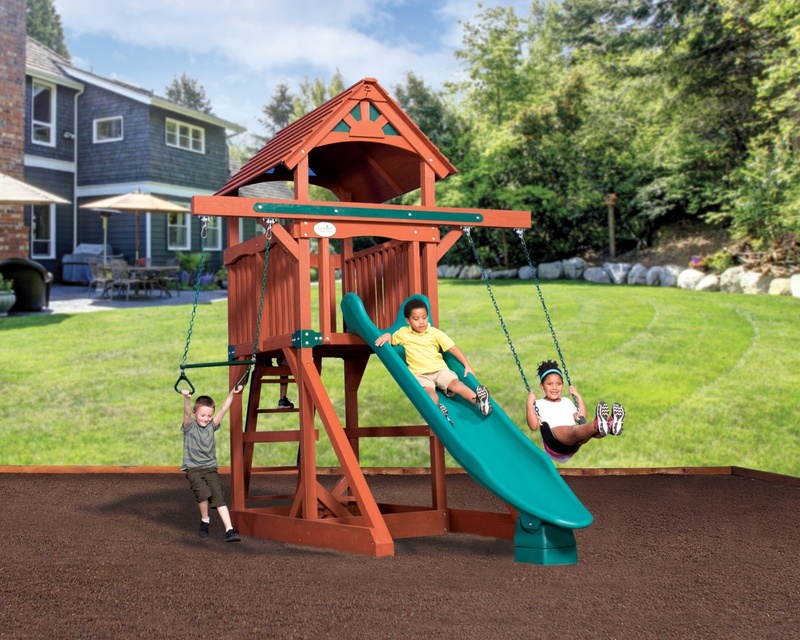 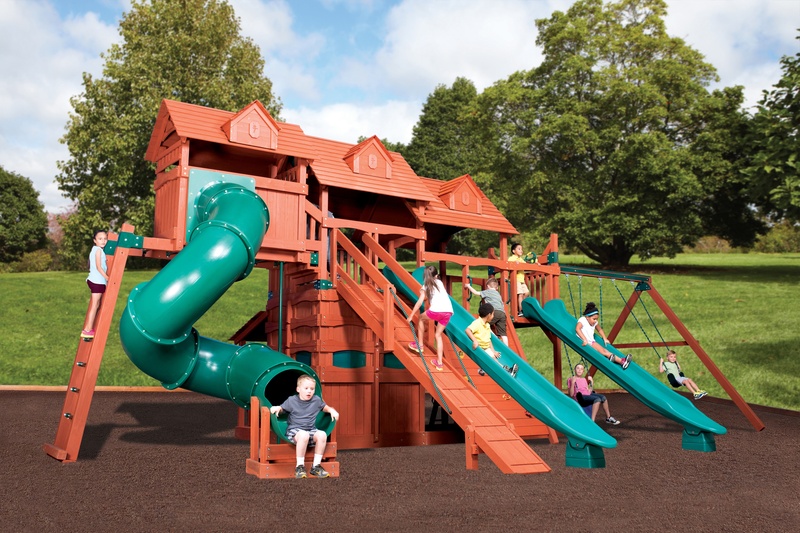 Backyard Adventures Olympian Peak 2 playset is filled with family fun! 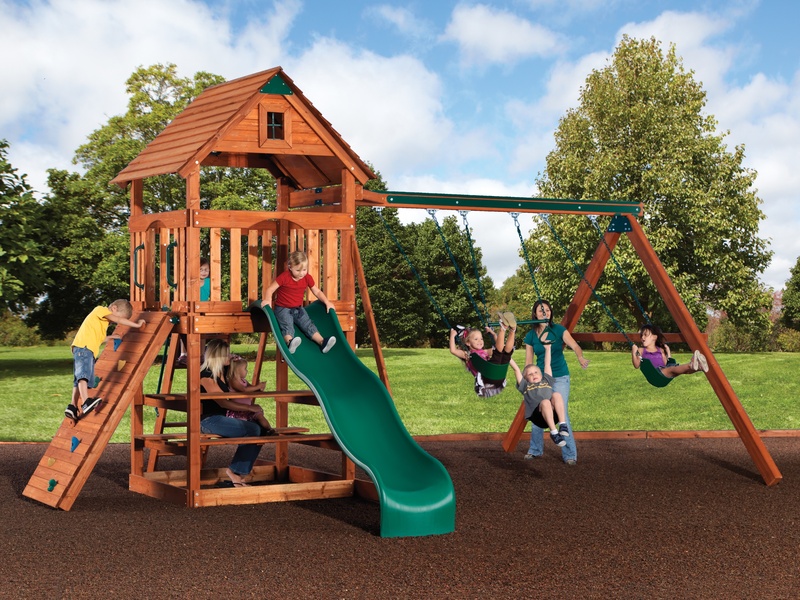 No matter what the age the Olympian Peak 2 has something for every family member. 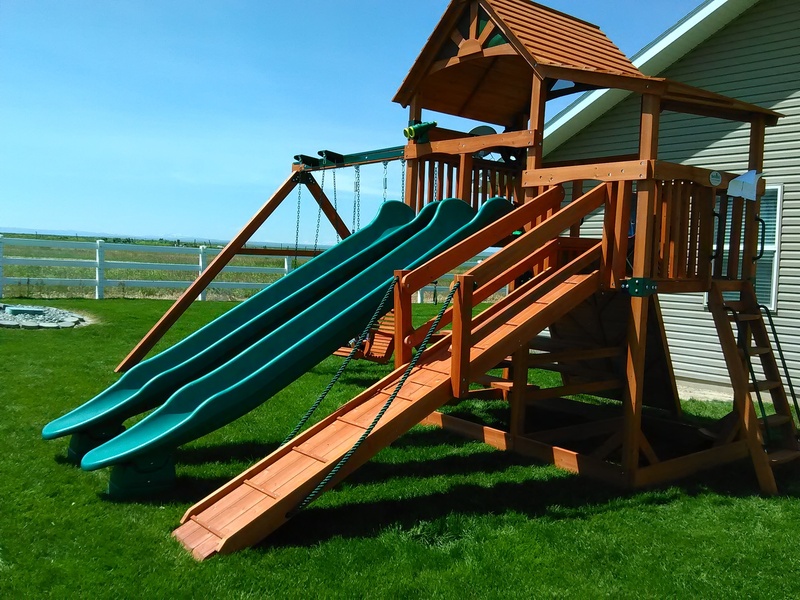 With its spacious 6 x 6 deck size the whole family can fit up top to watch Idaho's lovely summer sunsets. 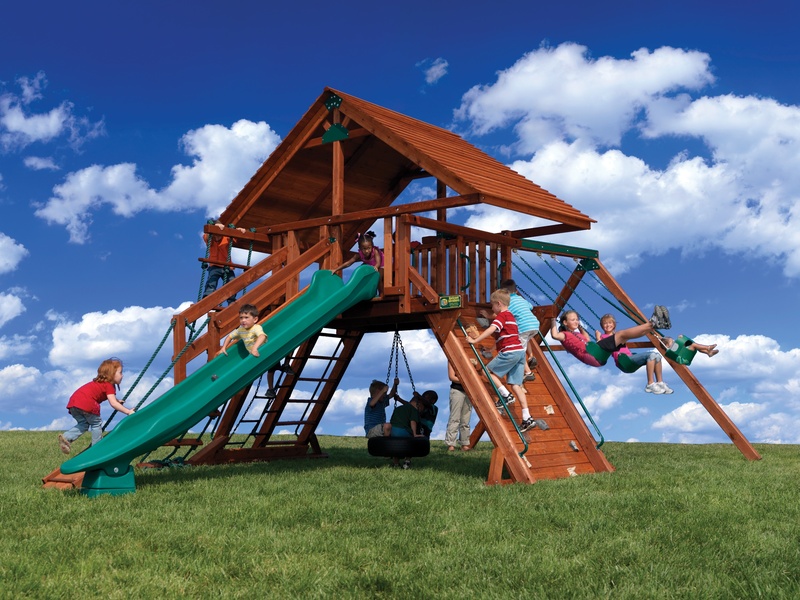 Idaho Outdoor Solutions Social Media Followers have an opportunity to buy a Titan Treehouse playground display at rock bottom prices!